Be a statement today! I'm wearing a combination of lobsters, red, navy, polka dots, and gold. This should add some fun to the day, right? It's here, it's here, it's finally here!! 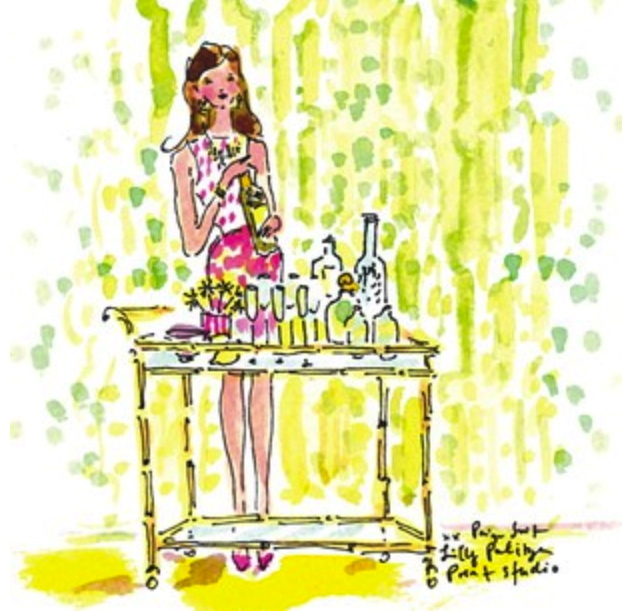 Lilly Pulitzer's debut of Spring 2013 has me giddy for the months ahead! I can now officially say that I am more than ready for the winter months to be over, so we can enjoy the new Spring goodies. After ooh-ing and ahh-ing my way through the catalog last night, I was too excited for words. I was able to pay a visit to Pink Sorbet, a Lilly Pulitzer signature shop in Columbia, South Carolina today. Although many of the spring items had not arrives in the store yet, I did have luck with two exciting goodies. 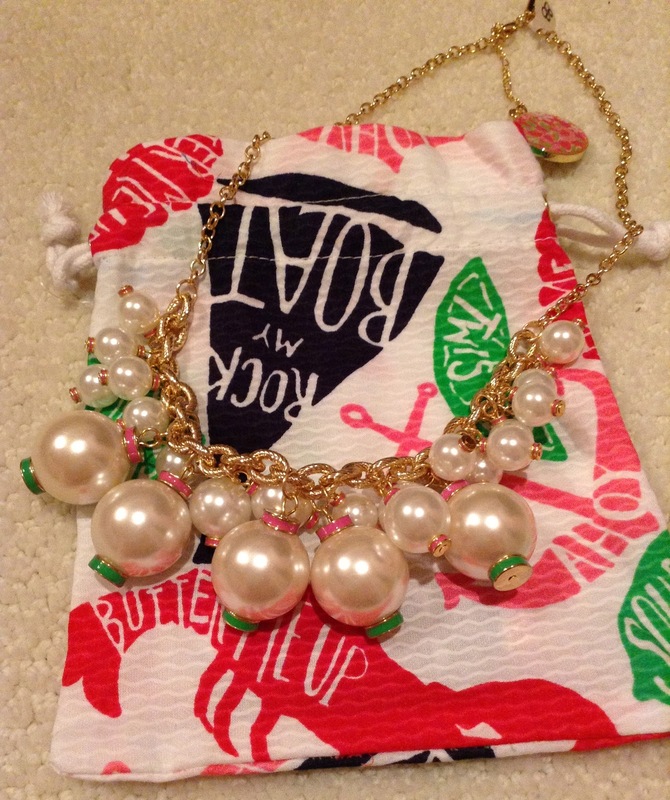 The Goodie Goodie Necklace: This necklace is the perfect bauble! 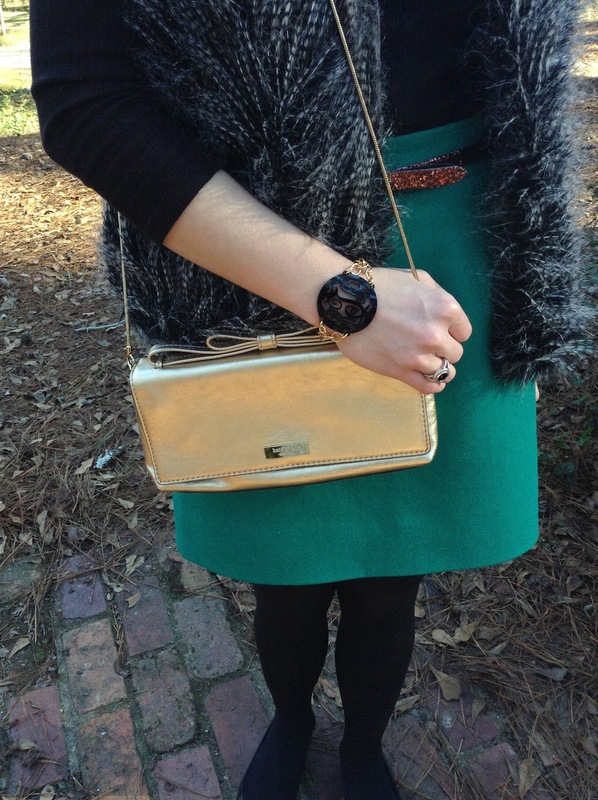 With the mix of pearls with gold, pink, and green, it couldn't be any more fabulous! I gladly welcomed this beauty into my closet and can't wait to have tons of fun with it. 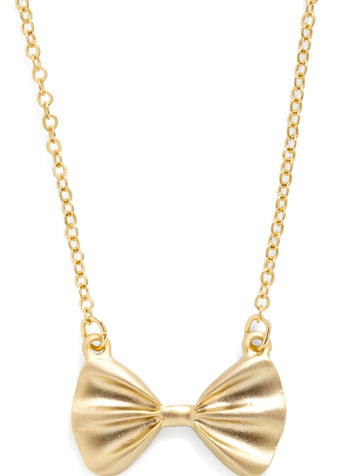 I am also in love with the clasp of this necklace! A lovely Lilly patterned bauble hangs from the end of the adjuster to add the perfect Lilly touch all over. 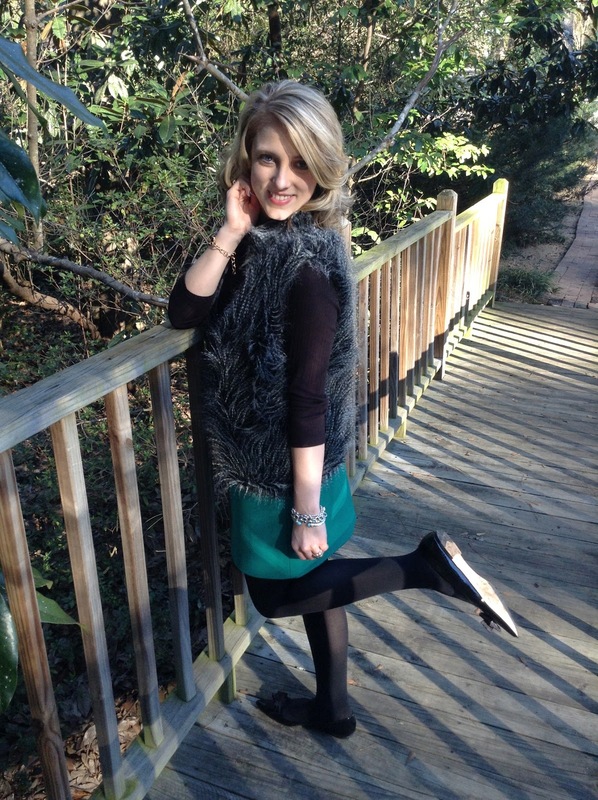 The Kaleb Dress: This comfy, cute, Lillytastic dress brightened my day! I just love the colors, stripes, and overall fit! I think it will be the perfect transitional piece. I also love the fact that Lilly included the palm tree logo on the bottom right hand side of the dress. 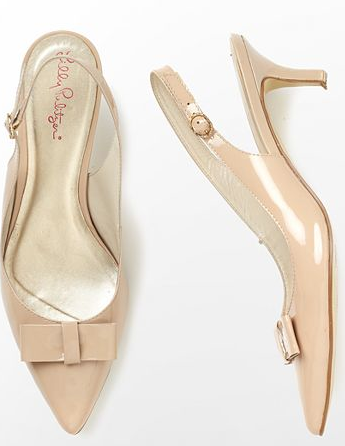 The Kat Kitten Heels: Although I tried these on and it was love at first sight, my wallet just wouldn't allow me to buy them today. I plan to purchase these some time soon (maybe after the next paycheck). 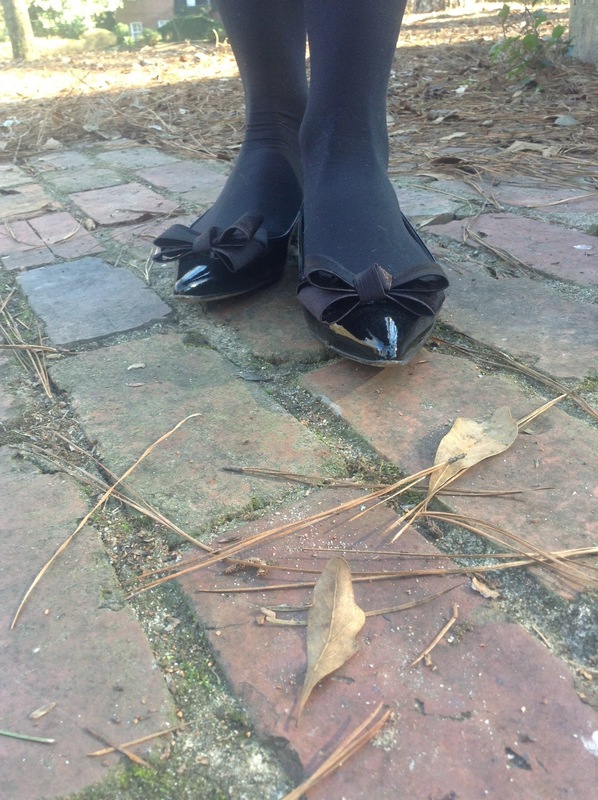 They are just perfect to wear now and all throughout the spring. 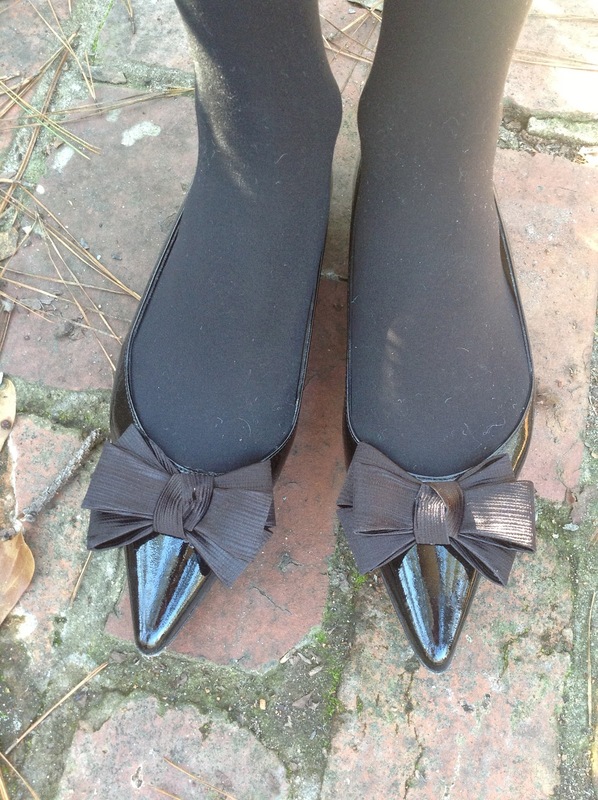 With the bow and pointy toe, they are wonderful! 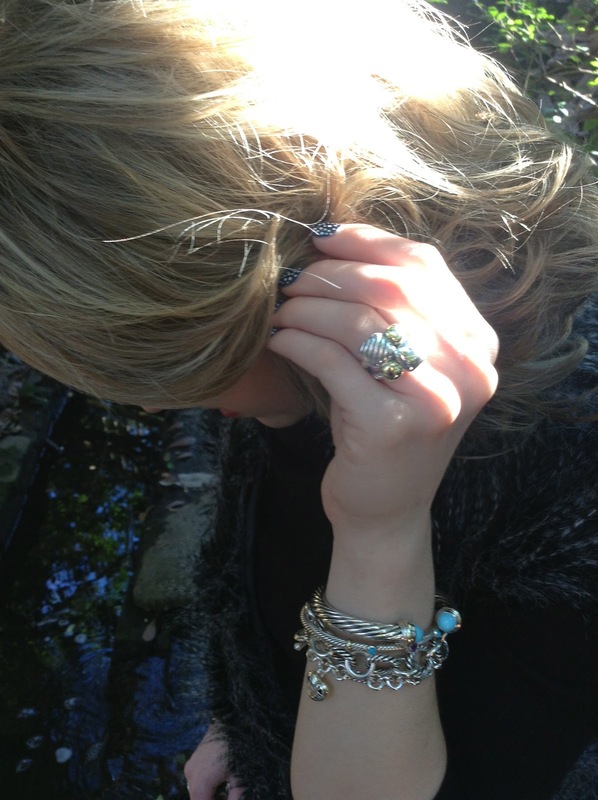 What Lilly Spring 2013 items have you fallen in love with so far? Inspiration On A Warm Day! Once again, the forecast for tomorrow is another unpredictable warm day in January. 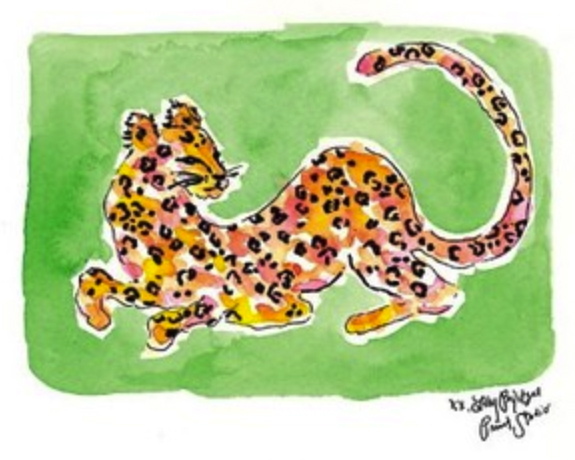 With the Lilly Pulitzer Spring 2013 collecting making it's debut (more to come on that as I'm going to a Lilly store tomorrow) and tomorrow being so abnormally warm, my mind is focused on transitioning into spring. 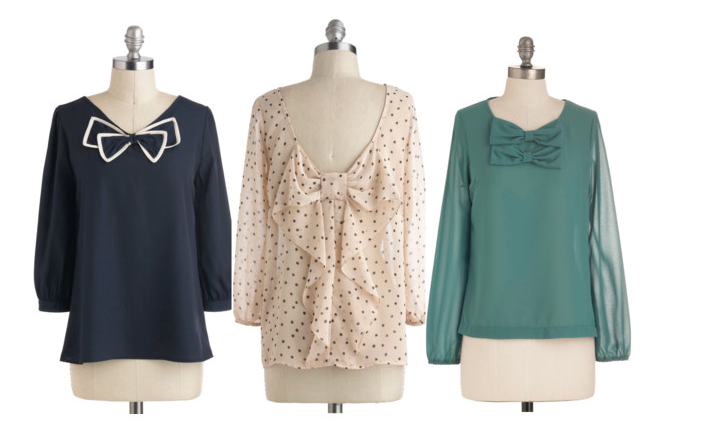 I just can't get enough of the refreshing mint items all around, and polka dots are a never ending statement. 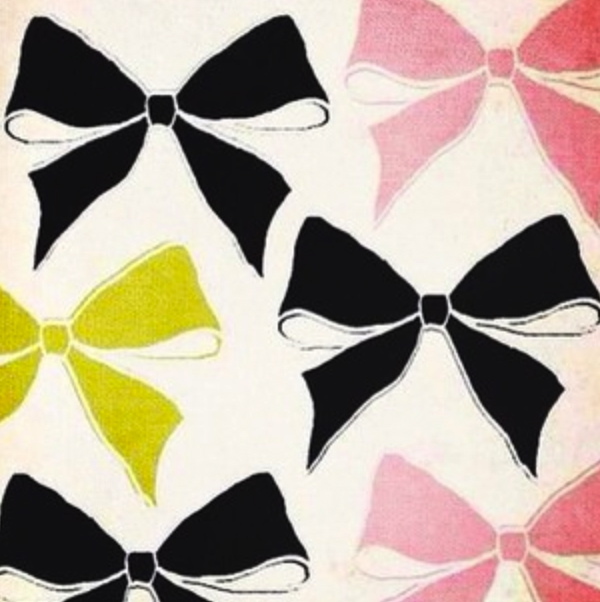 Here is a little bit of Bow inspiration to brighten your Monday. 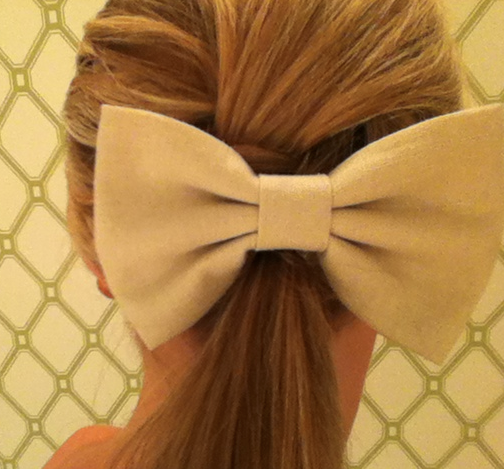 Have a Bowtastic start to the beginning of your week! 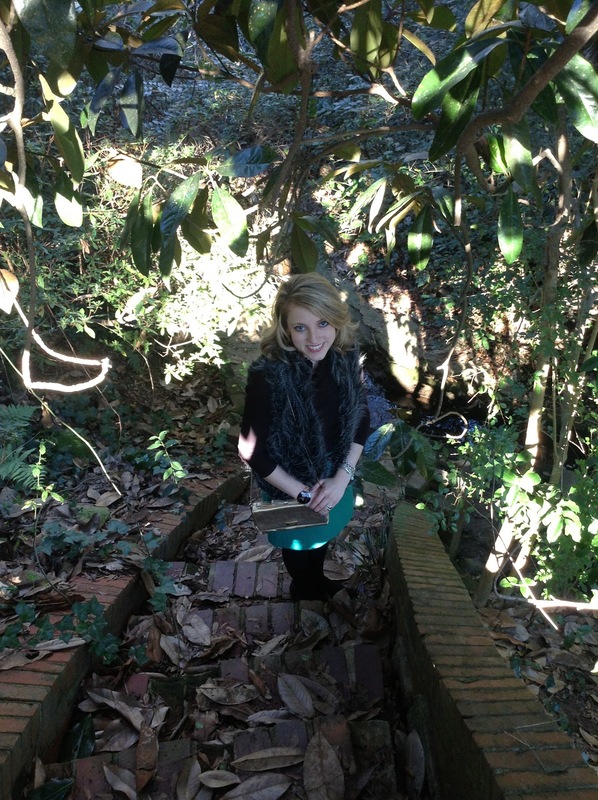 The birthday I'm celebrating today is my next favorite and the most exciting to me after my own birthday. Today is my Mama's birthday! There are two reasons why I love to celebrate it. One, she's my best friend in the world so why wouldn't I love to celebrate it! 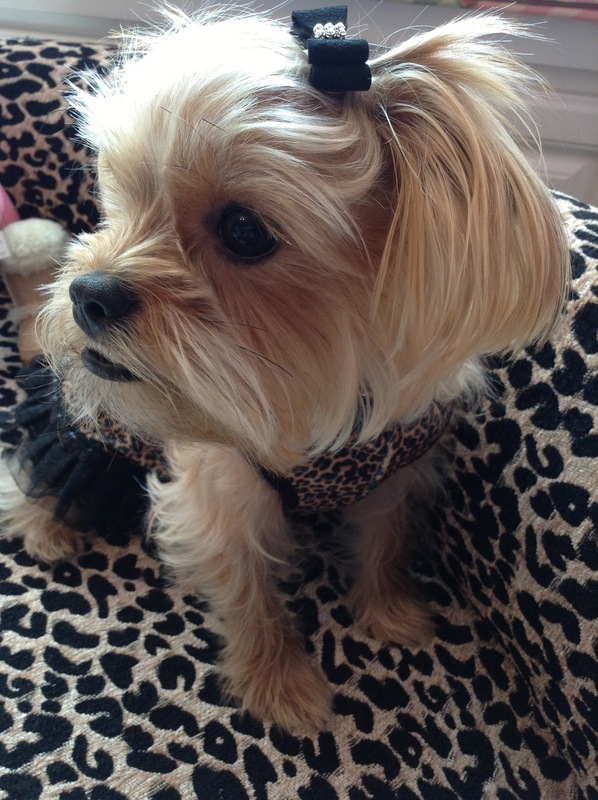 Second, I am an avid shopper and love to shop for others! Since we love the same exact things, I had no problem finding her the right gifts. It is just as exciting for me to buy for her than for myself. With that being said, Happy Birthday, Mama! I love you! May your every wish come true today. In preparation to making her day extra special, I baked her favorite kind of cake for her birthday, Red Velvet! I also had fun decorating and monogramming it. Next, I wrapped her birthday present loot in green and white polka dot paper and monogrammed each gift. The monogrammed gift tags have been one of my latest obsessions. 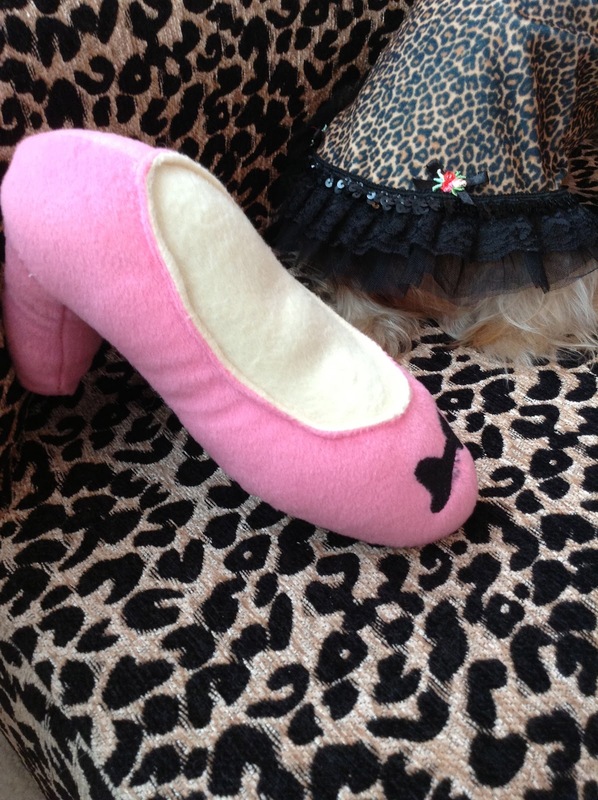 Dorothy Walton, from Prep In Your Step Blog, did a wonderful DIY tutorial on how to make these cuties. 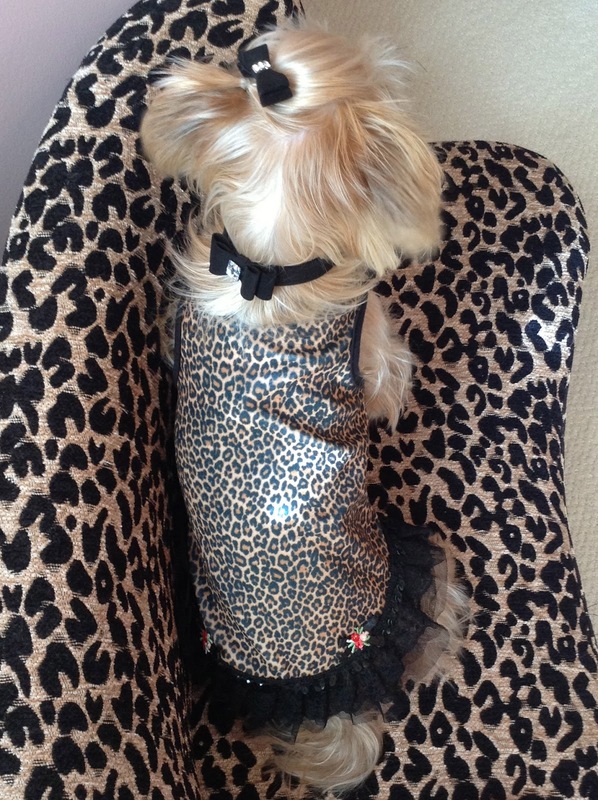 Lastly, you must have a fun birthday outfit picked out to look your birthday best! Who doesn't love a great pair of colored denim for a fun and playful look that adds in that perfect pop of color! I personally have immensely enjoyed my colored denim over the past few months. They have allowed me to enjoy my sweaters, vests, tops, chambrays, flats, boots, and everything else so much more that I originally would have. Today I brought home a pair of red denim. As I was hanging them in their appropriate spot in my closet tonight, I was putting together outfits in my head that will be perfect with this fabulous pop of red! Here are a few similar ideas that I plan to enjoy with my red denim. How do you wear your colored denim? Since I lacked a post yesterday, I decided to share a recipe also. You might just want to make yourself a tray of cookies this weekend! How about Brownie Cookies? These are my very favorites as I have practically been raised on them. My Mama always made Karen Calloway's recipe, and I now make them all the time. Bake at 350 for 8 minutes and prepare yourself for some chocolate goodness! 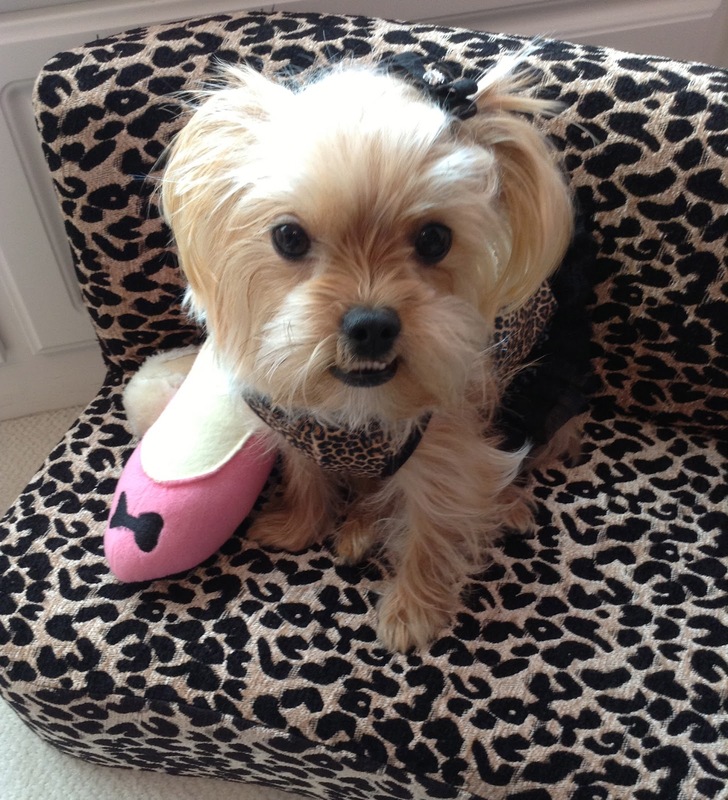 Creating Jaycee's little lounging area was something I hadn't thought about doing until I came across this cute leopard print doggy couch. To my surprise, Jaycee loves it and spends much time lounging on it. 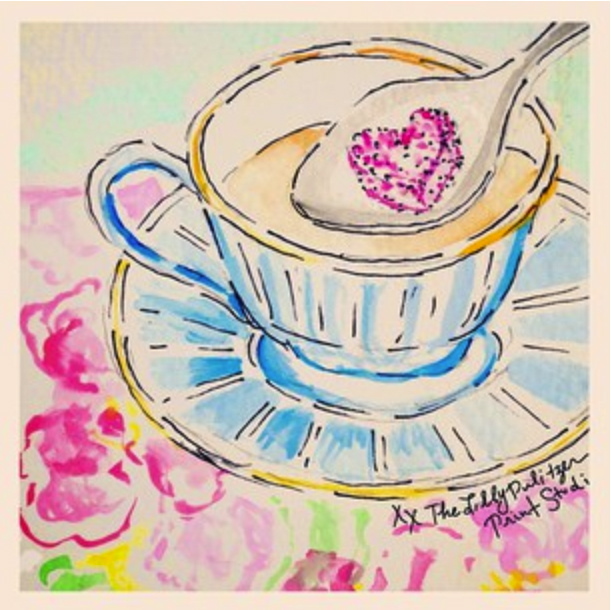 One of my very favorite parts of the the new year so far is the 5 days a week when Lilly Pulitzer posts the 5x5 prints at 5ish across social media networks. These lovelies add so much happiness to my every day, and have me always excited to see the next one they come out with. How Lillytastic!! 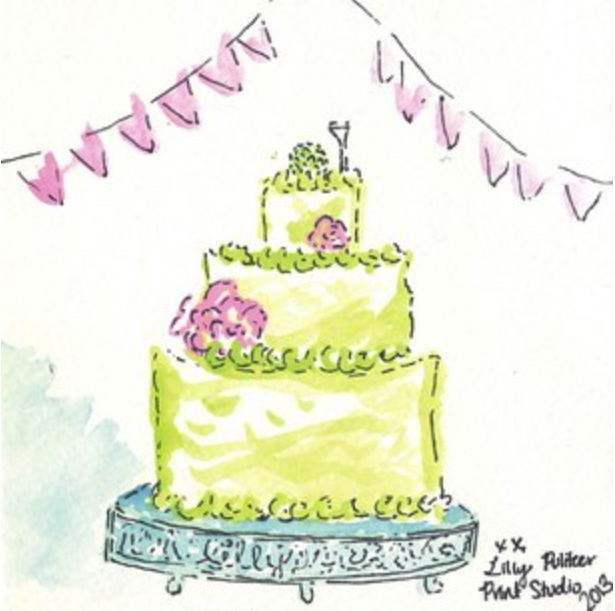 A 5x5 for a special Lilly girl who tied the knot! 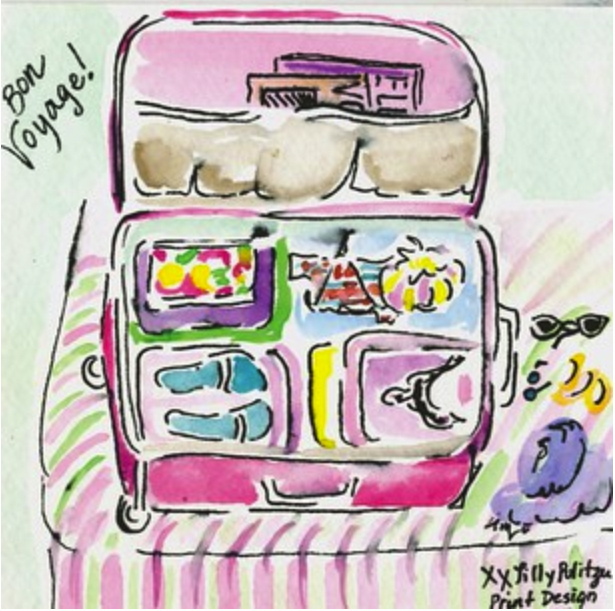 A 5x5 to share with us the Lilly Design Team's inspirational trip to Palm Beach! 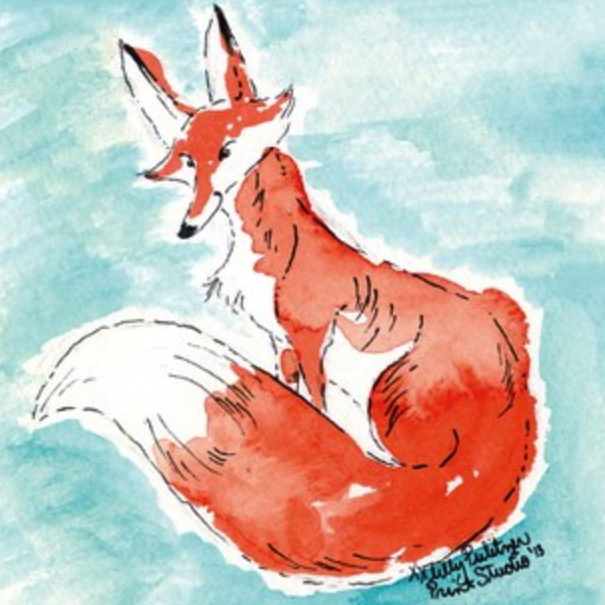 A 5x5 for feeling Foxy! 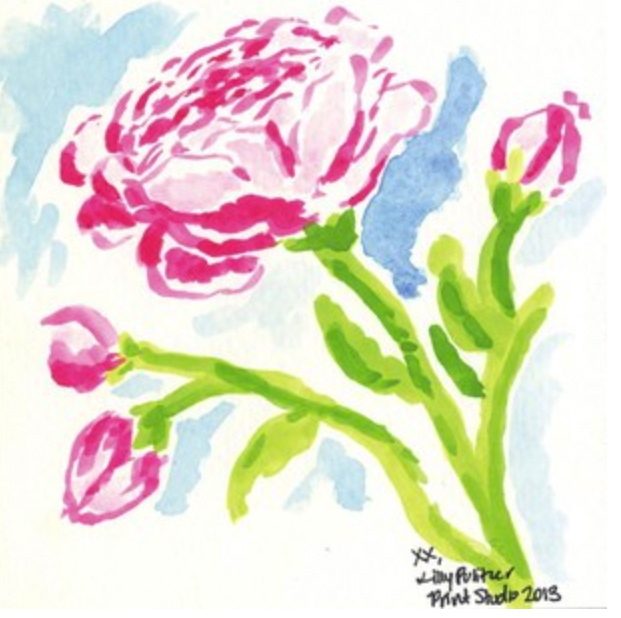 A 5x5 for getting Artsy! A 5x5 spot of London inspiration! 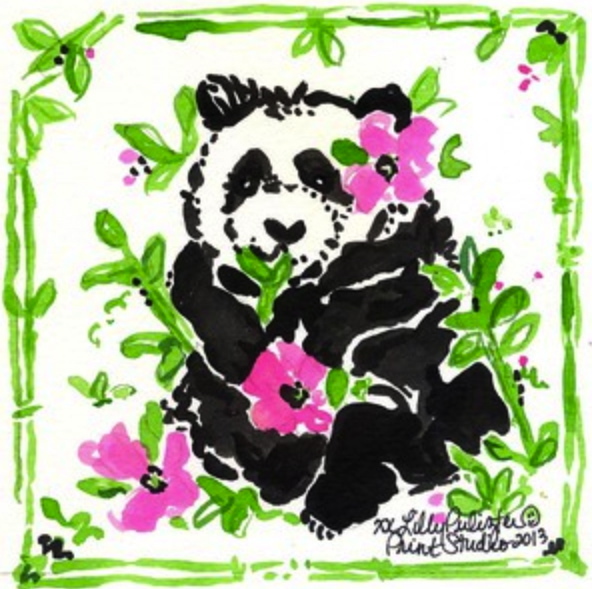 A 5x5 Panda who's left ear spells "Lilly!" A frisky 5x5 at 5:00! 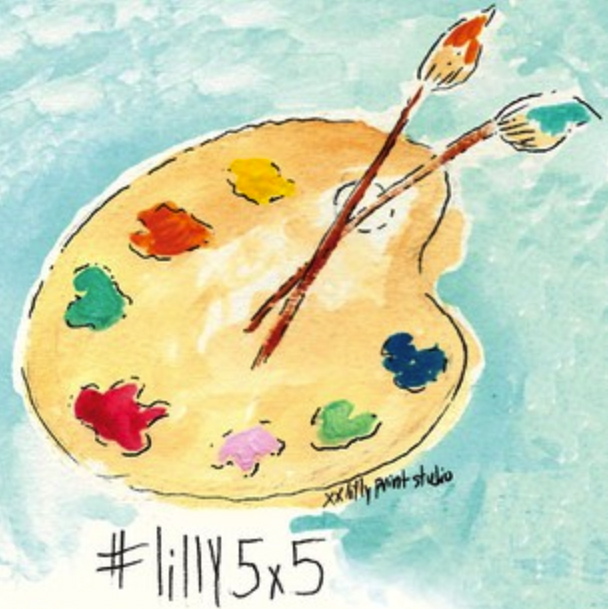 Introduction to a Lilly 5x5 of inspiration! Do you eagerly wait for the 5x5 at 5ish 5 days a week? 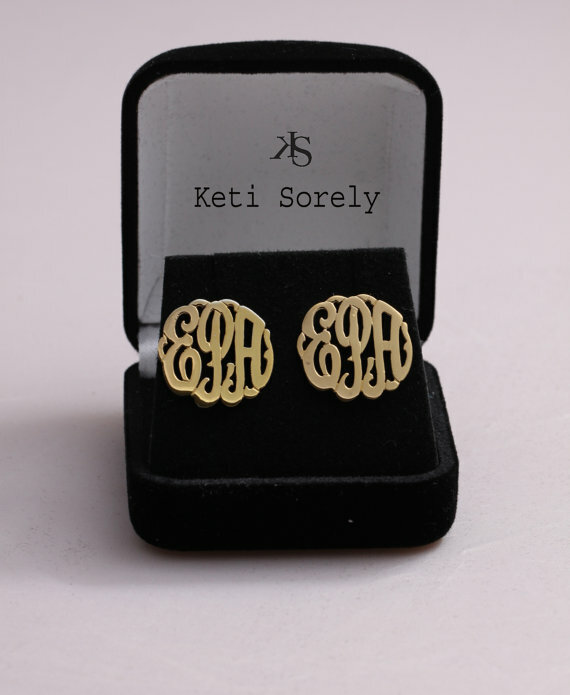 I am currently lusting over these monogrammed earrings. 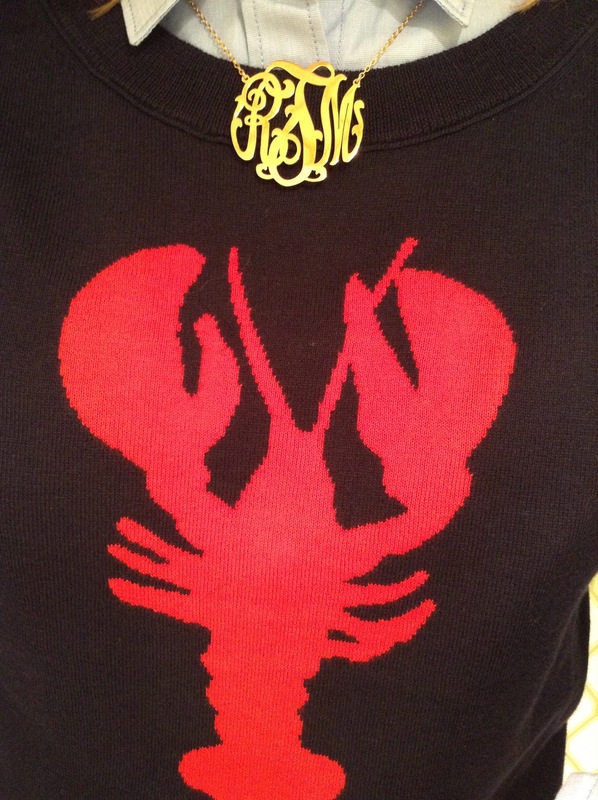 Since I have gotten so much use out of my monogrammed necklace, I know these would be enjoyed just the same. 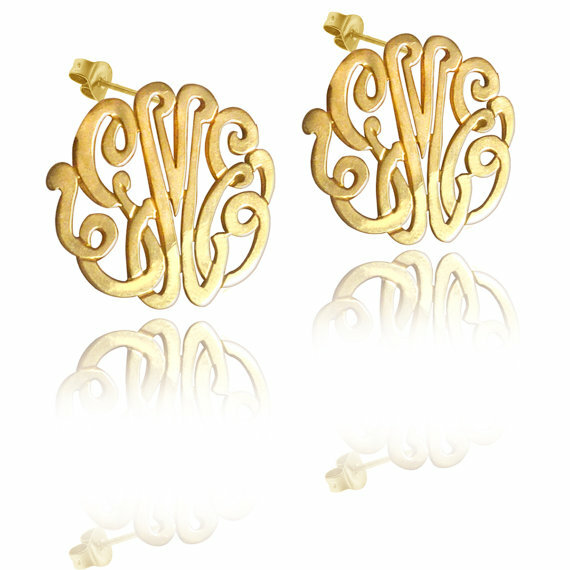 A monogram is a statement that never goes out and looks wonderful with everything. 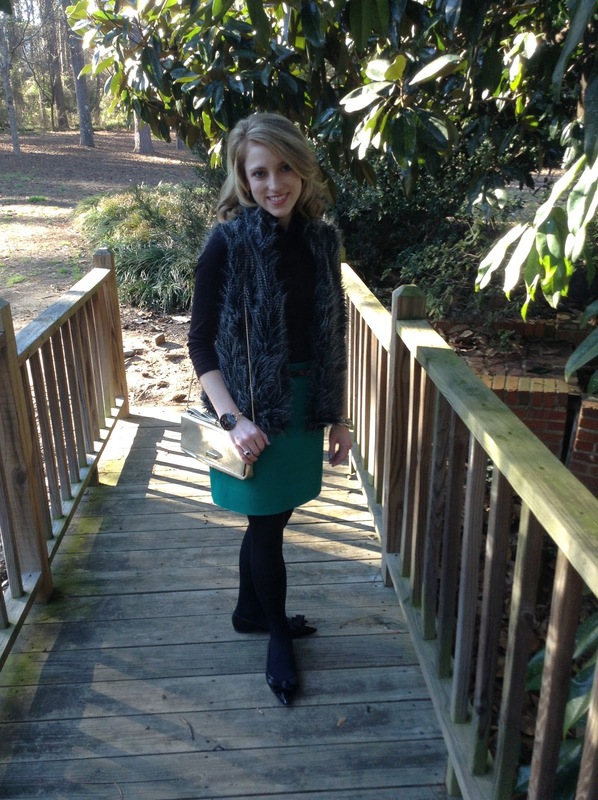 It adds that perfect, preppy touch! I want need these!!! 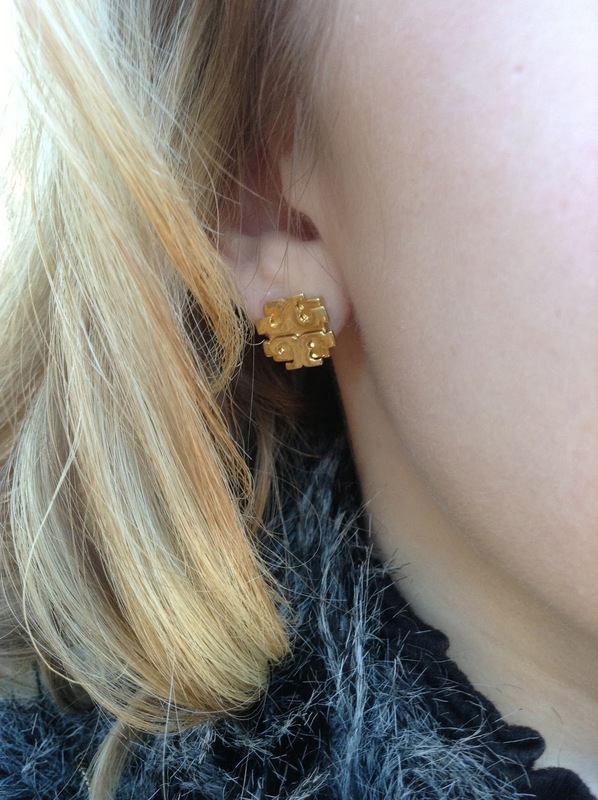 Do you have a pair of monogrammed earrings that you love and enjoy? 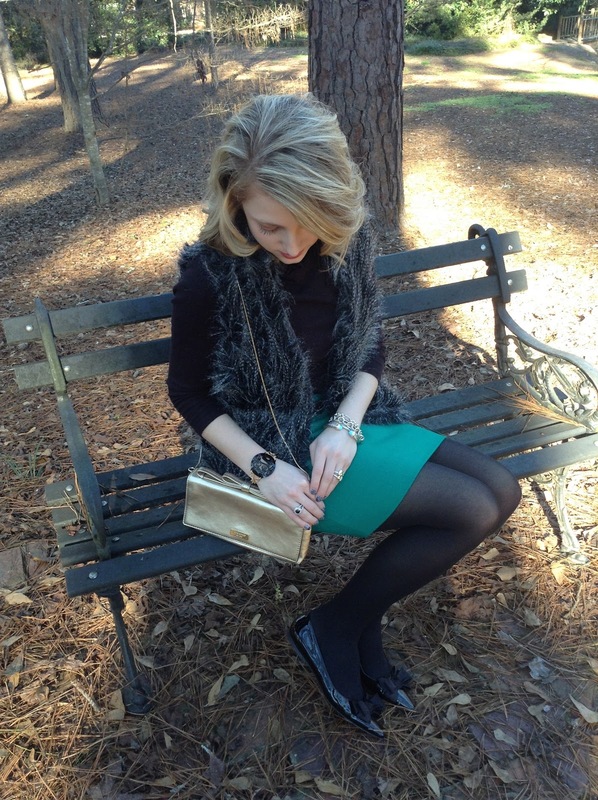 With it's bold statement, emerald can make any outfit come alive! 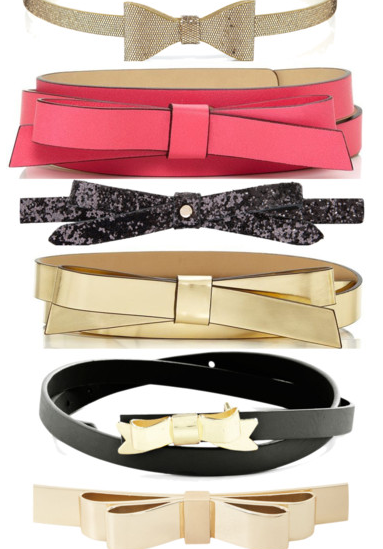 Seven Ways To Wear A Bow! 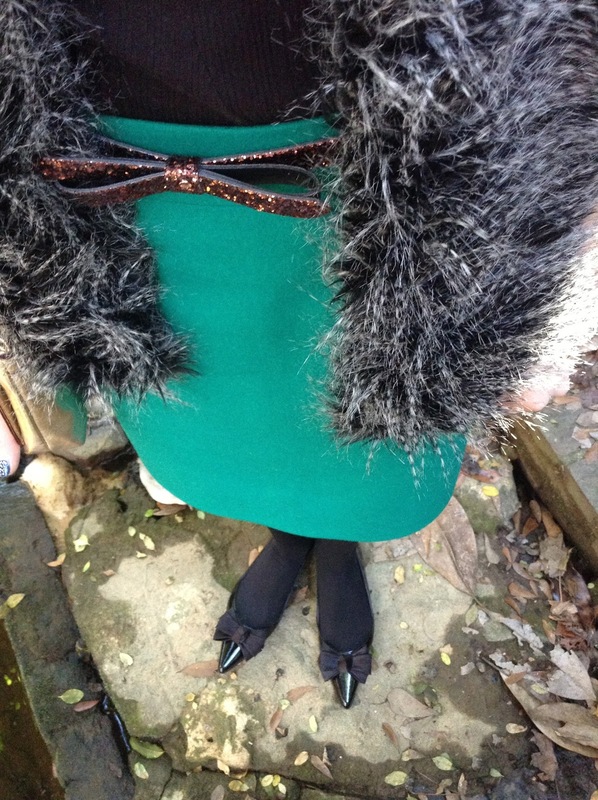 Dearly Bow-loved, here are seven ways to wear a bow from head to toe! 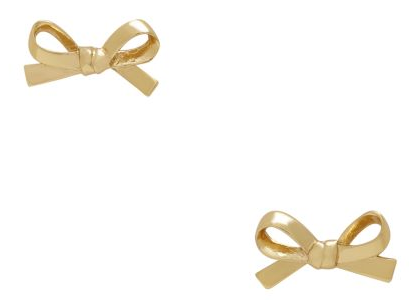 Add a touch of bows to your Sunday's best!